Doctor Who has a look like no other show in the world. 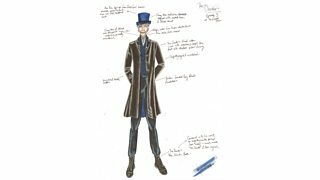 And the clothes worn by the Doctor, his companions and the characters they meet all add to the visual impact of the Time Lord’s adventures. Sometimes the costumes are overtly brilliant – eye-catching and instantly arresting. But often they subtly enhance the stories, revealing more about the characters than we may appreciate. 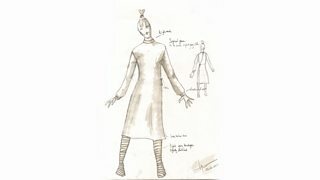 Q: Which was your favourite Series 10 costume for the Doctor? 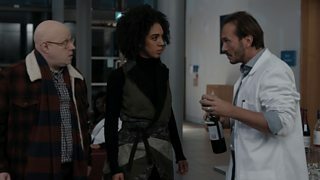 Hayley Nebauer: It was his costume from the start of episode 6 (Extremis) and episode 8 (The Lie of the Land), with the broken grey linen frock coat, I thought it summed him up well, quite rock ’n’roll, with a feel of the classic, historical-based Doctor’s tailoring that many of the Doctors have had, but like it had been on adventures around the universe and was quite representative of his character. 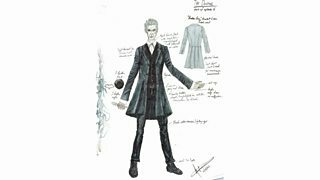 Q: Which was your favourite costume for Bill this series? HN: Her episode 6 look, the patchworked khaki/ camo dress. Interestingly, this dress was made from pieces taken from lots of different camo and military costume items I had left from other films, so it is essentially recycled clothing! 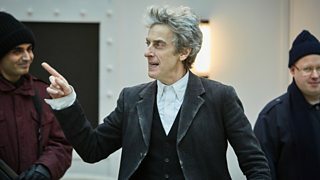 Q: How would you describe the Doctor’s look in Series 10 and how did you go about creating it? 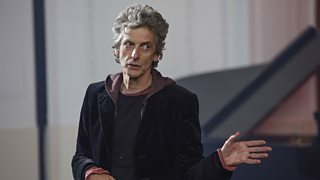 HN: I started with Peter, I talked to him about his looks in series 8 and 9, what he and the former costume designers (Howard Burden and Ray Holman) had been developing in his look, so that where we began extended from this. From here, I tried to loosen his look up further, so it seemed less like he was a man who was dressed immaculately and more like an adventurer who had been around the universe a few times, things were more worn out and aged, but he layered them up, enjoying all the textures of his layers. Suited and booted: The Doctor's Thin Ice attire. 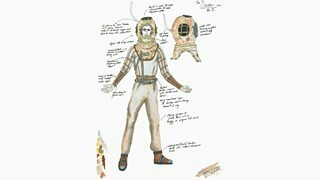 Q: How much time do you research something like the diving suits in Thin Ice and how much of the design is artistic licence? HN: I put a lot of time into researching something like the diving suits... there is a museum in London where you can see examples of real ones, I looked into the history of their creation, construction and materials... once I know about the real diving suits, I then choose which parts of the facts we follow and what we choose to do differently, to serve the story. The Doctor took the plunge with this glorious diving suit in Thin Ice. Like the original suits, ours were handmade in real metal, copper and brass, with waxed double layered suits and rubber seals around the neck etc. I love doing the research, but I also love just doing what feels right for the story, above all. 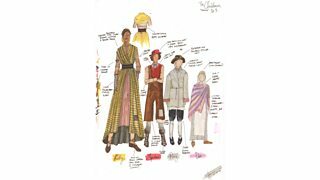 More costumes from Thin Ice: The 'Frost fair kids' rocking the London look, 1814 style! 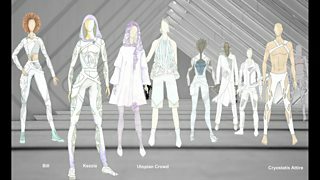 Q: What advice would you give to anyone wanting to be a Costume Designer? 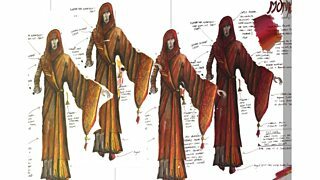 HN: Learn about how things are made, you will be a much better designer if you understand how your costumes are to be put together, it helps you narrow down all the small choices that make the big difference in the outcome of the costume. Simple and sinister - the look of 'the Patients'. 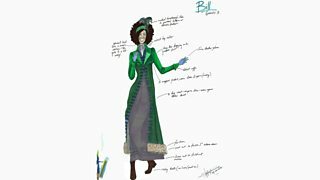 Bill's lush costume from Thin Ice. Big thanks to Hayley Nebauer!